If your body has begun to show changes recently, and so has your mood, you could be pregnant. Often, the signs of pregnancy are able to manifest themselves even without the tell-tale ‘missed period’ to ring the first bell. But it is easy to confuse these symptoms with those your body registers during a menstrual period. For instance, you might experience tender breasts and bloating in your midriff even before your period begins. These two are also signs of pregnancy. Besides, you may even undergo mood swings in the days leading up to your period. The same symptom is exhibited in the early stages of pregnancy. 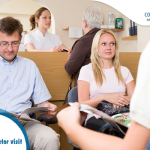 Instead of wondering if you’re pregnant or not, it is better to take a pregnancy test or consult your gynaecologist. Why do these early signs occur? One of the earliest signs of pregnancy is tenderness or soreness in the breasts. This is because the body produces a higher amount of progesterone, which occurs in response to the fertilised egg being ‘fed’ by the body. This results in more blood being produced, which floods the breast tissue and causes tenderness. Apart from mild cramping (which is often confused with indigestion) and some pale spotting, the body adjusts itself well to the preparation for carrying the child. The ovaries stop producing mature eggs after the fertilised egg has implanted on to the uterine walls. This is what causes the woman to miss her next period. 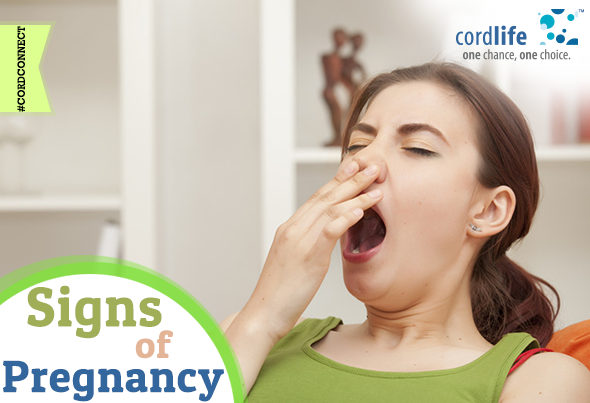 More symptoms of pregnancy begin just after the fourth week. The signs of pregnancy start showing themselves in earnest after the fourth week. The woman may feel nauseous, bloated, moody and fatigued. A surge of hormones causes frequent urination, irritability, tender or aching breasts and morning sickness. In the coming weeks, the woman gains weight as the foetus grows. Her body readies itself for the baby’s growth by replenishing her blood volume, helping nourishment reach the baby and strengthening her womb muscles to carry the baby’s weight. The heart rate picks up, the woman may feel breathless and tired and soon, her gait changes to accommodate her realigned centre of gravity. By the fifth month, the woman’s belly shows the pregnancy as well. Pregnancy pregnancy symptoms, signs of pregnancy. permalink. Your Pre-Pregnancy Checklist – How to Prepare for Pregnancy?